I'm hoping them might come at the same time one night- I've heard the foxes calling to each other recently, so it's coming up to that time of year again. Always good to see what is going on. I should not be surprised but it is interesting that the animals are creatures of habit. 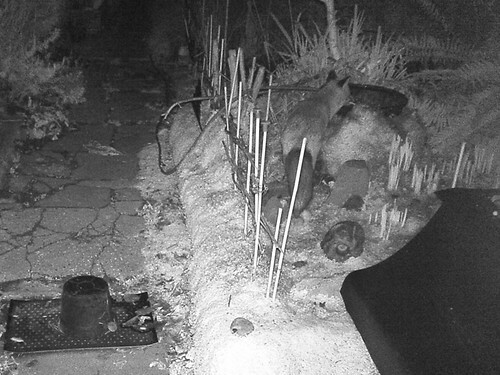 I don't put the camera out every night but when I do the foxes are always recorded - in via the back wall, a quick check on the pond, glean dropped food from under the bird feeders and usually out to next door's garden over the fence behind the shed. The foxes here are calling more often now too.